Bradenton Beach is located on Anna Maria Island on the gulf coast of Manatee County, Florida. Florida living is all about the activity filled summers and the extremely mild winters. The summers on Anna Maria Island never get too hot due to the cool ocean breezes found here and the winter temperatures average 73 degrees during the day. Here you will find the weather cooperates 320 days a year and this allows everyone have sunny dispositions. 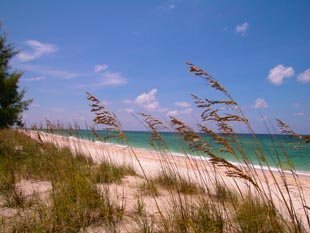 So many great things can be mentioned about Bradenton Beach: the ivory white sand, the warm beach waters, and the welcoming weather, even the cheerful dispositions of the people in the community are reasons why you just might want to move to this paradise and call Anna Maria Island and Bradenton Beach home. All things notwithstanding, this area has remained an enclave of old Florida charm, attracting many people from different ages. Its reputation precedes it as a long standing vacation hideaway home to great beaches and restaurants, without the fuss off too many people and modern development. With the relaxing beach as the backdrop to mostly everything found on Bradenton Beach, it remains to be a true seventh heaven on the Florida Gulf coast. Bradenton Beach is connected to the Florida Mainland via a bridge to Anna Maria Island that spans from the city of Bradenton. Its fame is due to its funky Key West feel. The clarity of the stunningly clear gulf waters lapping the shores of Bradenton Beach are world class and something many keep coming back for. Simple yet spectacular in every sense, Bradenton Beach is a great place to live in. The Florida Gulf coast area is about the really excellent beaches, cozy neighborhoods, and breathtaking coastal walks and drives. Bradenton Beach offers the feeling of exclusivity and proximity; you are away from it all but you are still connected to everything. Pretty much what many dream of in life, Bradenton is about being able to enjoy to life at your own leisure without having to worry about the rest of the world. Manatee county has one of the most impressive public transportation systems in Florida. The island is covered by a trolley system from one end to the other, thus making it easy for everyone to explore the area and connect with those to the east and south. The trolley system connects everything to everything making access to it all easy for the temporary residents. Beaches, restaurants, bars, shops, museums and local diners are all connected within the public transportation system making it possible for everyone to explore and learn a little more about Anna Maria Island and the surrounding areas. Bradenton Beach is about discovering new dimensions of entertainment. The beach promises something new to learn every day. One could go parasailing and learn how to imitate flight. One could take a breathtaking walk down the coast and learn about the effects waves have on the sand on the sand. Combing for shells is a great way to discover what lies in the under-sea world just off the coast. One could also visit the Sunday market and learn about the food, arts, crafts and culture of Bradenton Beach. With the perfect weather found in this part of Florida, everything can be done almost year round. Bradenton Beach is also a great place to experience tropical island living, without moving away too far from the conveniences found in the United States. 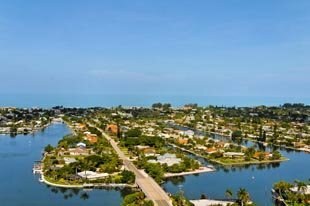 For those who want to get away from the noise and chaos, but still be connected to the hustle and bustle of a city’s demands, Anna Maria Island and the community of Bradenton Beach is the best place for you to do just that! 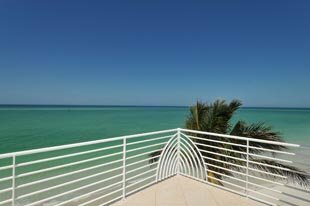 Below are the MLS listings of Real Estate currently for sale in Bradenton Beach, Anna Maria Island. Listing courtesy of: MIKE NORMAN REALTY INC. Listing courtesy of: SATO REAL ESTATE INC.